When the right wing press blather on about how Human Rights legislation is getting in the way of business, it’s your rights they are talking about. 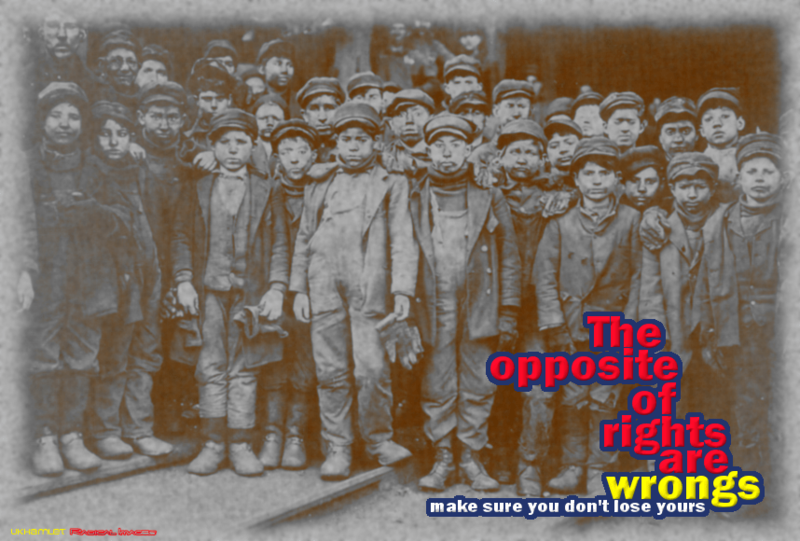 It’s about the right not to be bullied by overbearing bosses. It’s about my right to say this and your right to disagree if you want to. It’s about the right to protest about injustice. It’s about respect, freedom and the rule of law and that, more than anything else, is what Britain is about. The ruling class, vested interests, the elite, call them what you want, have done everything they can to undermine human rights legislation – without actually saying why, other than sloganizing. It then goes on to say that these rights can be derogated in times of national emergency, and a few other things to do with the European Court of Rights, and States rights. There is nothing in there that a normal or sane person would want to overturn, unless these rights prevented them from exploiting to the full the ordinary people to whom these rights have been accorded. The thing is, these rights are so watered down and so couched in terms that give national governments wriggle room, that they are incredibly weak compared to what they should be. But importantly, they represent a marker in the sand, a minimum wage of human rights below which governments can’t go. Conservatives would like to get rid of these very basic rights, because to them money is more important than humanity. We should resist this with everything we have. Because, this isn’t about them, it’s about us. So, the next time someone says to you that we need to get rid of the Human Rights Convention, remember that it’s all about you and your kids. We’re the humans they are talking about.